PRESIDENT Rodrigo Duterte on Monday, December 3, bestowed on late Senator Miriam Defensor-Santiago the Quezon Service Cross, the highest award in the country granted to an individual with outstanding civilian service. The award was conferred posthumously in a ceremony held at Palace's Rizal Hall on Monday afternoon. Narciso Santiago Jr., the husband of Defensor-Santiago, accepted the award on behalf of the late senator. The conferment of the posthumous award on Santiago makes her the sixth and the only woman to receive the Quezon Service Cross. The Quezon Service Cross was created through Joint Resolution 4 issued in 1946 by then President Manuel Roxas to honor the late President Manuel Quezon. Other recipients of the award include former United Nations General Assembly President Carlos Romulo ((April 1951), former President Emilio Aguinaldo (June 1956), former President Ramon Magsaysay (July 1957), former senator Benigno Aquino Jr. (August 2004), and former Local Government Secretary Jesse Robredo (November 2012). In a keynote speech, Duterte acknowledged that Santiago's "skills, intellect, and dedication" to public service have inspired not only the Filipinos but also the people around the world. "All her (Santiago) achievements clearly demonstrate how her values, ideals, dedication to public service highly compare with the standards exemplified by the late President Manuel L. Quezon. 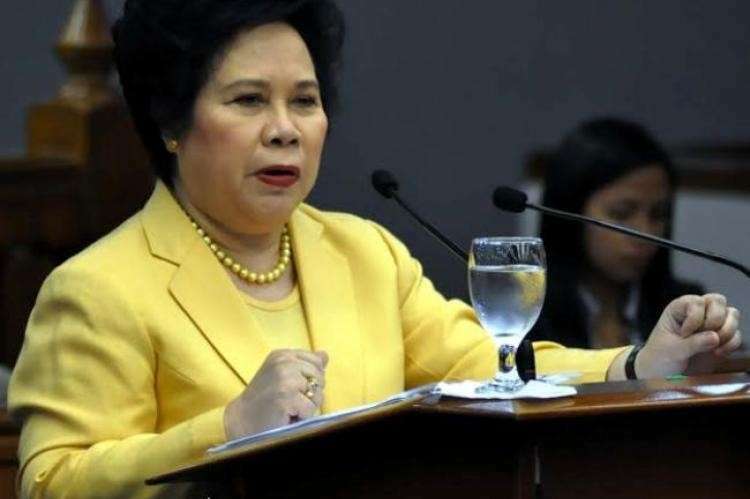 Throughout her life, Senator Santiago profoundly steered our nation, especially the youth, to challenge preconceived notions on political and social issues," the President said. "I am hopeful that as we recognize her exemplary contributions to society, she will serve as an inspiration to a generation of Filipinos who will use their talents for the benefit of their country and their fellowmen," he added. In December 2017, Duterte endorsed Santiago, his contender in the May 9, 2016 presidential race, as the recipient of the Quezon Service Cross award. Duterte, in a letter dated November 20, 2017 and addressed to Congress, said Santiago "inspired generations of Filipinos to aspire for excellence and remain steadfast against any challenge and adversity." Santiago's husband said he deeply appreciated the conferment of Quezon Service Cross Award to his late wife. "On behalf of our family, may I express our deepest appreciation and gratitude in the posthumous conferment of the Quezon Service Cross to my wife," he said. 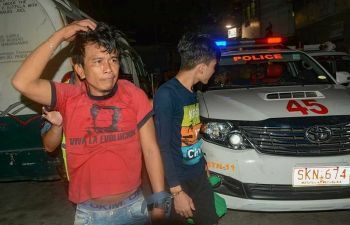 Duterte expressed hope that Santiago would continue to serve as an inspiration to Filipinos to aim for a "more progressive, inclusive, and equitable society." "Let us do all our part, however small, in helping bring positive change in the country. May senator Santiago's shining example be the legacy that we leave behind to future generations of Filipinos," he said. "Let her memory serve as the right that will guide us towards a more progressive, inclusive, and equitable society," he added. Santiago spent her life to public service for 46 years through her work in all three branches of government -- executive, judicial, and legislative. She served as presiding judge of the Quezon City Regional Trial Court, Immigration commissioner, Agrarian Reform secretary, and three-term senator. Her 46-year public service earned her several accolades, including the prestigious Ramon Magsaysay Award, Asia's version of the Nobel Price, in 1988; the Philippine Judges Association Hall of Fame in 2015; The Outstanding Women in Nation's Service Award for Law in 1986; and Outstanding Young Men Award for Law in 1985; among others. Santiago also brought pride and honor to the nation in 2011 when she became the first Filipino and first Asian from a developing country to be elected as judge of the Hague-based International Criminal Court (ICC). However, she resigned as ICC judge in 2014 because of health reasons.